Ski for free at many local Tahoe Sierra resorts in California and Nevada as part of the popular Plates for Powder program. 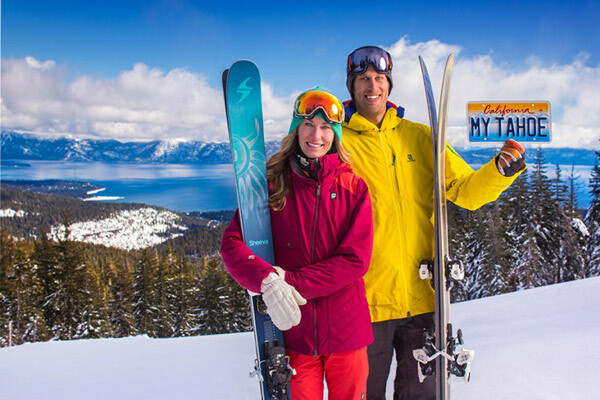 Individuals who purchase a new Lake Tahoe license plate between now and April 1 in either California or Nevada can receive a free lift ticket to one of 11 Tahoe resorts participating in the program. Now is the time to buy a Tahoe license plate so you can ski for free in Tahoe. Plate sales and renewal fees generate proceeds that go directly to the California Tahoe Conservancy and Nevada Division of State Lands to fund hiking and biking trails and watershed restoration projects. The Tahoe Fund, a nonprofit dedicated to helping complete more environmental improvement projects, is organizing the program on behalf of the public agencies. 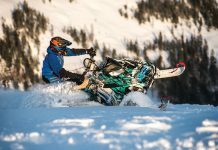 The resorts participating in the promotion include Diamond Peak, Heavenly Mountain Resort, Homewood Mountain Resort, Kirkwood Mountain Resort, Northstar California, Sierra-at-Tahoe, Squaw Valley|Alpine Meadows, Tahoe Cross Country, Tahoe City Winter Sports Park and Tahoe Donner. The promotion is available from now until April 1. Some restrictions apply. For information on how to purchase a plate and redeem a free ticket, visit tahoeplates.org.